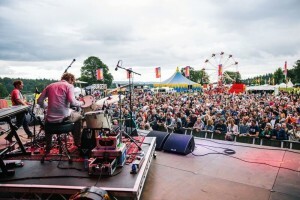 Returning to the stunning grounds of Drumlanrig Castle in Dumfries & Galloway for its fourth outing, Electric Fields offers an incredible, diverse musical line up. Scotland’s best small festival punches well above its weight and offers something for everyone for the last festival fling of the summer. With just over a week to go, until we are in the lush, sunny surroundings Drumlanrig Castle, here are Feast’s top picks for the weekend. Car Seat Headrest/ Will Toledo not only set the archetype for modern DIY success – from 2010 he solo-recorded and self-released 12 albums and EPs on Bandcamp before Matador signed him. Last year’s ‘Teens Of Denial’ album was received to wide acclaim, and as Will doesn’t tour much, it will be interesting to witness the lo-fi prodigy, backed up with a full band. Rolling Blackouts Coastal Fever has already crossed that ‘next big thing’ threshold with their deal with Sub Pop, critical acclaim and a reputation for bristling live shows. They’ve been likened to the War On Drugs and Real Estate with a nod to Orange Juice and The Strokes. We cannot wait to check out the Melbourne band. After, her storming Glastonbury set, Kate Tempest is sure to high on most of Electric Field’s attendees’ agenda. Given, the world’s current affairs, the narrative and lyrical brilliance of her will deliver an emotional punch. 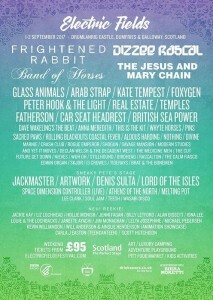 We expect the poet to deliver one of festival’s defining sets. Kilwinning’s Crash Club will tear up the Tenement TV stage, when they grace the stage. Every time, Feast has seen the band, we have been blown away by their take of electro-rock. It’s going to be loud, pounding and sweaty. Frightened Rabbit’s headline show will be a big, bold celebration of how far the band has come. It’s going to be a rousing mass sing along. If tracks such as the 12 minute ‘No Way Back to Lunch’ is anything to go by, And Yet It Moves are going to bring an intense cacophony of noise. It’s going to get loud! Rascalton have been picking up wide acclaim with their energetic, exuberant punk shows. Expect to hear a lot from this young Glasgow band. Lord Of The Isles has spent numerous years on the road, honing his live show across and DJ sets across discerning dance floors to the best club and festivals the world has to offer and picking up huge acclaim from Mixmag and Resident Advisor. We only heard a snippet of his set at Primavera, so we are looking forward to seeing what the Scottish producer is going to bring to EF. 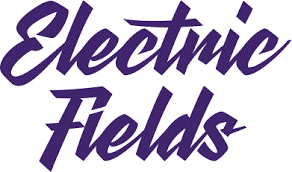 Electric Fields will also showcase an electronic line up led by Glasgow legend Jackmaster, known for his ability to intersect and mash up an array of genres in just a few short hours. Expect an exhilarating set as he headlines the Sneaky Pete’s stage with Artwork, Denis Sulta, and Space Dimension Controller also announced. New for this year, Electric Fields also has stages put together by two of Scotland’s principle new and exciting music clouts, showcasing a diverse and cutting edge line up across the Tenement TV Discover Stage, and a new stage curated by Vic Galloway, so do drop by the stages for rousing and eclectic music from around the UK and beyond. 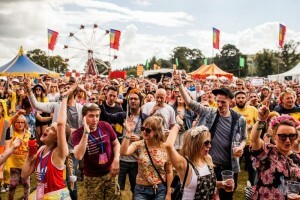 As well as a thrilling musical line-up, Electric Fields will this year be expanding its food and drink area with Edinburgh’s drooling-inducing The Pitt creating a new bespoke food village, along with a Hoot the Redeemer pop-up cocktail bar. Tickets are almost SOLD OUT so if you don’t want to miss out on one of the best weekends of the year- you better be quick. We’ll see you in the fields!